Our first ring was at South Cadbury, a pleasant 13cwt ground floor ring of 6. 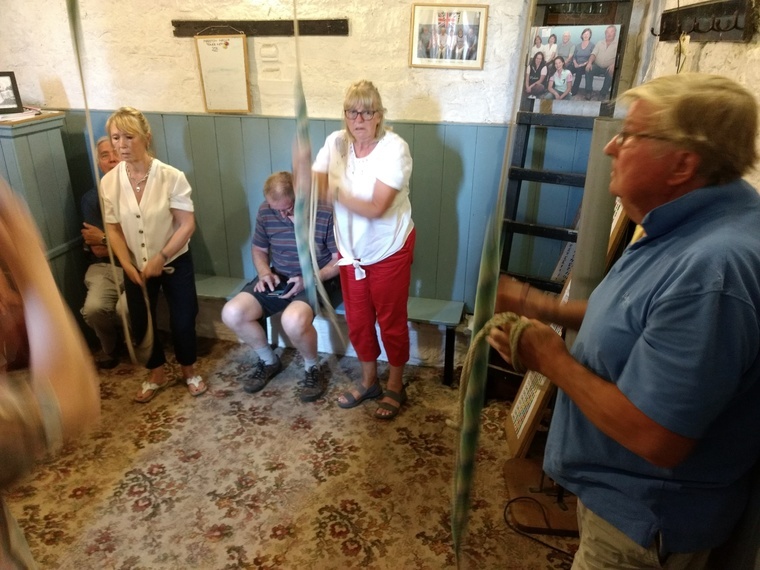 We then went to Marston Magna, which just happened to be another 13cwt ring of 6! Going over the border into Dorset we came to Bradford Abbas. Yet another 13cwt ring of 6, but these bells were a little bit different! 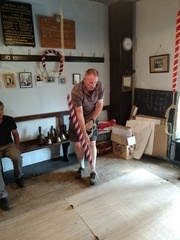 Due to there being a very low ceiling and the sallies going up into the ceiling and into tubes (as we were told) you had to be very careful with your handling when ringing these bells. If you didn't pull straight down through the center of the hole and keep a tight rope all the time the sally would tend to fly all over the place. 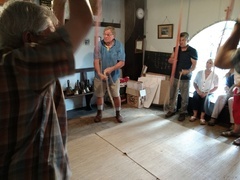 It was a good test of our ringing skills and unfortunately not everyone passed the test! It would definitely be a challenge to ring a quarter peal here. 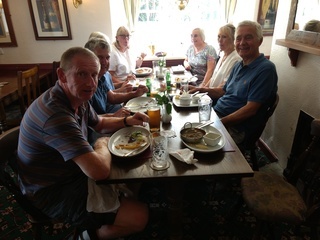 We stayed in Bradford Abbas for lunch at the Rose and Crown. 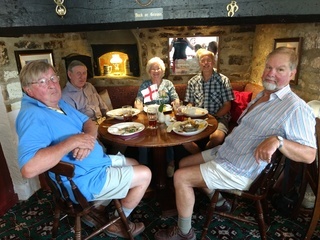 The food was excellent and the service was prompt. 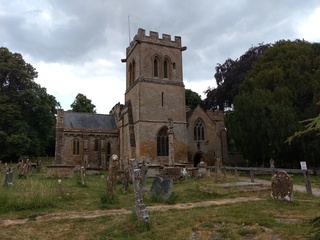 The first tower after lunch was East Coker, a 10cwt ring of 8 although I got confused and thought they were 17cwt! 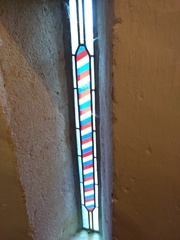 The most interesting thing at East Coker was the stained glass sally on the stairs leading up to the ringing chamber. 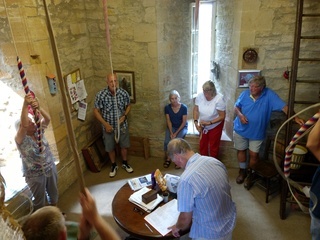 Stoke sub Hamdon were a lovely 17cwt ring of 6 and we had a welcome breeze blowing through the ringing chamber. 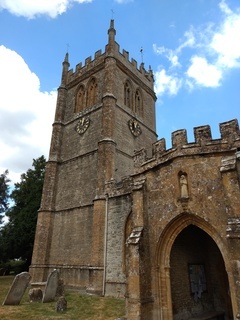 Our final tower was Somerton, a really nice 20cwt ring of 8, I would definitely like to go back there for a quarter or peal one day. 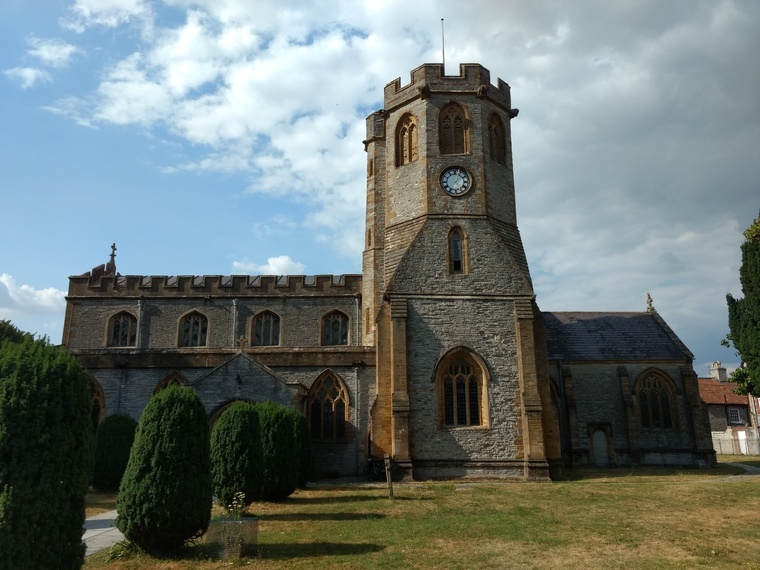 It was a good day out, thanks to Alastair Weston for organizing it and also thanks to everyone who came and to the towers for allowing us to ring. I'm looking forward to next year already!